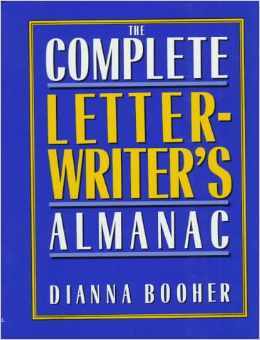 Now you can save hours and effort writing your own correspondence with this comprehensive collection of more than 240 letters and emails for virtually ANY business or personal occasion. Whether it’s offering congratulations for a job well done,… welcoming a new employee,… apologizing for a mistake,… requesting a favor,… or any other situation that calls for writing, the The Complete Writer’s Almanac provides you with the precise letter or email that clearly expresses the proper tone and exact message you want to convey. Just scan the easy-to-use Table of Contents to find the exact model you want. Locate what you want quickly by category and topic. Then choose the appropriate letter or email and copy it—or personalize it with a few words or sentences of your own. No matter what the occasion, you’ll never again be at a loss for what to say or how to say it!